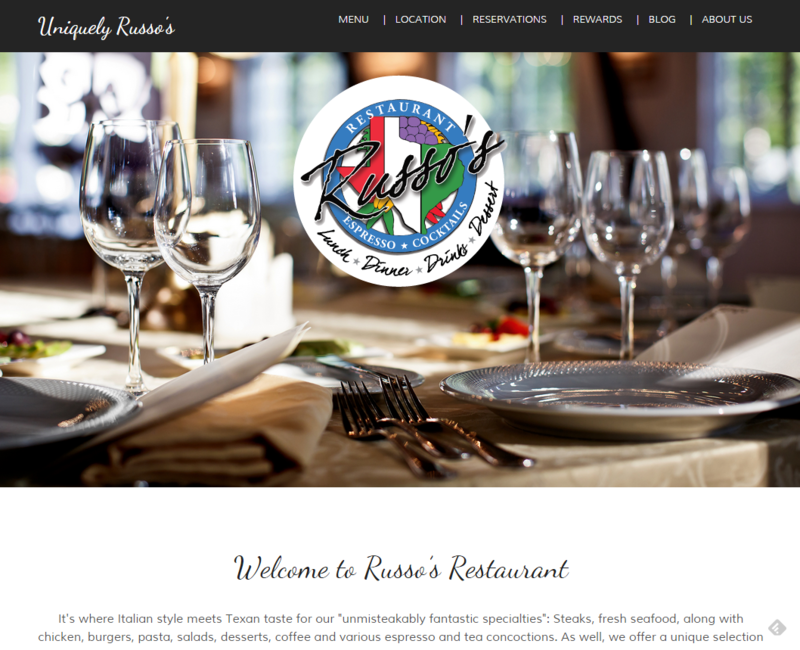 Last week we launched a gorgeous new website for Russo’s Restaurant in Marble Falls, Texas. John A. Russo II, owner of Russo’s Restaurant, wanted to upgrade his existing web presence so that it would be more user-friendly, optimized for local search and would be easy to read on any device. He also wanted to streamline the process for making reservations through the site and improve the way people sign up for their announcements and special offers. We were able to accomplish all of that for him. This website is built using the Daily Food Child Theme from PWD Technology, running on the Genesis Framework from StudioPress. It’s mobile responsive and it includes the seven things every small business website needs today. Contact Us today to build a new website for You!